While you are working, you may want to start thinking about saving for retirement. Even if you, like most workers, are eligible for Social Security retirement benefits, you may need to find other ways to save for retirement, as your Social Security may not cover your full cost of living. There are many ways to save for your post-work life. You can invest in stocks and bonds, mutual funds and other vehicles. One popular option for many workers is a Roth IRA. The appeal of a Roth IRA is that it allows you to save up money in a tax-sheltered way. You pay into your Roth IRA with after-tax dollars, and your money grows without being taxed. When you withdraw the money, you don’t pay taxes on it. This can save you a considerable amount of money. How Much Should I Contribute to My Roth IRA? You should maximize your Roth IRA contributions if possible. There are limits on how much you can contribute. However, in 2019, those limits have increased for the first time in six years. In 2019 you can contribute $6,000 to your IRA account if you’re under the age of 50. If you are age 50 or over, you can contribute up to a maximum of $7,000. If your total taxable compensation is lower than these limits, you can only contribute the total amount of your taxable compensation. There are also limits in terms of income. If you earn more than a certain amount of income (MAGI), you can’t directly contribute to a Roth IRA to save for retirement. If you’re single, your modified adjusted gross income must be under $137,000 with a phase out starting at $122,000. If you’re a married couple, the phaseout starts at $193,000 to the maximum income of $203,000. If your income exceeds these numbers you may be able to use a backdoor IRA to convert your funds from a Traditional IRA to a Roth IRA. You have 15 months to make a contribution for the current tax year, meaning any time between January 1 and the tax filing deadline of the year to make contributions to your Roth IRA. 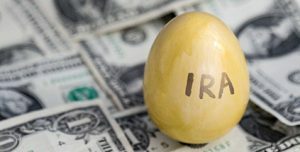 You may be able to set up a Roth IRA at your workplace or bank. You can even set up automatic contributions to your account, and some employers may be willing to help you by matching your retirement savings. Always ask Human Resources and your employer about solutions they offer to make retirement more affordable for you. If you’re wondering whether a Roth IRA is right for you or you’re wondering how much you can contribute, Money Help Center has resources to help you. In general, you’ll want to maximize your Roth IRA contributions because they are tax-sheltered. The more money you save on taxes when saving for retirement means more money will be available to you when you are no longer working. However, depending on your income and financial goals, maximizing your contribution may not make sense. Or, you may find a different form of retirement savings is a better solution for you. Always customize your retirement savings plans and investment plans to your financial and future goals. How do you plan to save for retirement?